Economy Minister Dimitris Papadimitriou visited the service park of the Rally Acropolis in Lamia on Thursday. The minister was briefed by the president of the Federation of Motosports and the representatives of FIA who are observers of the race on the latest development one day before the start of the Rally scheduled to kick off on Friday afternoon in Lamia.The crews are already in Lamia and have done the Pre-Event testing. 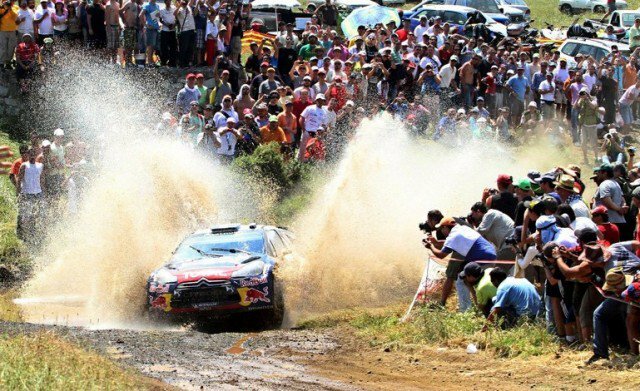 Papadimitriou noted the importance of the organization and the benefits at a tourist level and discussed with the organization’s officials for the prospect of Rally Acropolis to continue to be included in the international rally calendars.